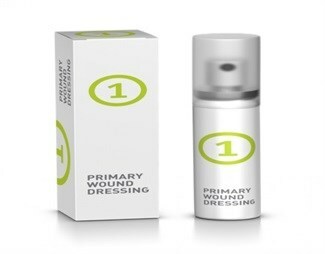 A new wound care product, 1 Primary Wound Dressing (1PWD), reduces the time spent on wound care and the costs associated with these procedures. Alakai Associates, in conjunction with Phytoceuticals, the Swiss life science company that developed 1PWD, have introduced it to the African health care market. Its attributes will help address some of the challenges facing health care providers in developing countries, namely tight budgets, a shortage of skills and capacity constraints. It is a wound dressing specially formulated from a synergistically acting combination of Neem oil and St John's Wort oil. This product is used in Europe to simplify wound care and enable quick and mostly pain-free dressing changes. In many cases, the patient or a family member at home can do dressing changes that would have been performed by a health care professional, negating the costly and time consuming visit to a health care centre. Due to its broad mode of action, specific steps and/or products typically used during dressing changes, such as debridement, antiseptic wound cleansing and care of the tissue surrounding the wound, can be reduced or even omitted. This simplification of the wound care process is applicable to a wide range of wounds at most stages of healing. This increases the compliance and reduces the chances of mistakes during dressing changes. The economic benefits include reduced time to perform dressing changes leading to additional capacity for the health care provider. Because it combines most of the benefits provided by advanced wound care products, savings on stock holdings can be realised by reducing the amount and types of dressings that need to be held. An audit at a Swiss nursing home saw significant savings in the monetary costs of the dressing changes, as well as the time taken to perform the dressing changes, which was reduced by more than 50%. This led the researchers to conclude, "1 PWD, used in conjunction with a cost-effective and appropriate secondary dressing, offers clinical and financial benefits and the opportunity to simplify wound care procedures." In South Africa, Dr Alessandro Andreone, a surgeon at the burns unit at Durban's Inkosi Albert Luthuli Hospital has used 1PWD on both burns and accident patients. He liked the fact that it enabled a quick and pain-free dressing change and the initial pain typically disappeared within two days. "It clearly activates and supports the physiological wound healing process. The fact that the dressing change is pain-free, quick and can be performed by the patients or their relatives, simplifies our work tremendously. Compared to ointments that are often used in such situations, the spray application is ideal because the sensitive skin area is not touched during the dressing change. This simplification is very helpful and increases the compliance of the patients," said Dr Andreone. Partners are continuously being sought to carry out structured case studies and audits in community and hospital care settings to collect validated data on the clinical and economic benefits of using 1 Primary Wound Dressing. For more information, go to www.WoundCareAfrica.com.